After much speculation and rumour, Crypton Media have finally officially announced a Summer release for the English version of the Hatsune Miku Vocaloid software, as J-Pop Go successfully predicted. 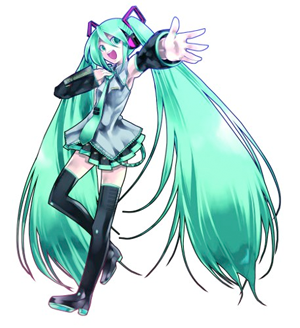 An English version of Hatsune Miku was announced as far back as 2011 with a possible 2012 release date mooted. Debate about the move to the new Vocaloid 3 engine and issues with adapting Miku to English have been attributed to the delay. In our exclusive interview with Crypton Media CEO Hioryuki Itoh last year, he was very coy about announcing any details ahead of schedule.